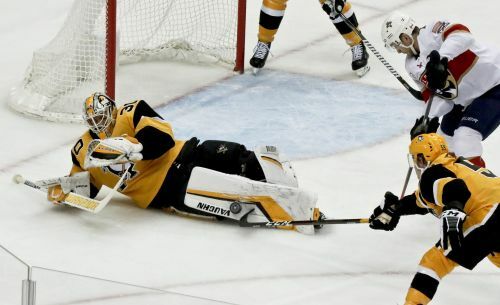 PITTSBURGH (AP) — Pittsburgh Penguins goalie Matt Murray tries to keep it simple. Show up for work. Try to improve a little bit each day. Don't get too high or too low. Aaron Ekblad's goal late in the second period gave him 62 in his career — the most ever by a Florida defenseman — but the Panthers never recovered from the early deficit.